Aurene Theme - I arranged for 6 Cello Aurene Theme from 'All or Nothing" & played it ! 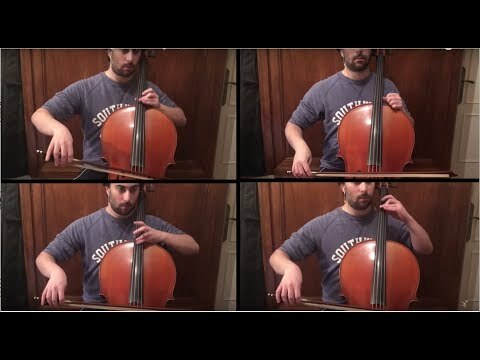 A month ago, I did a Cello Cover of "Fear Not This Night", the most well known GW2 song. Your encouragement, the new sublime soundtrack from last Guild Wars 2 Living World Episode "All or Nothing", and a tragic ending, all these made me willing to give a last hommage to Aurene. Special thanks to ArenaNet & to Maclaine Diemer for providing the sheet music. I was very inspired by this music, & love composing music, that's why I decided to include my own composition, inside this music. The music from 1:57 to 3:15 is composed by myself, using the original haunting theme. I hope you’ll enjoy it ! I'd say this was prob better than your other one. This felt like it was made for the haunted feel the cello brought to it. I was watching an old TV show last night, and one of the characters said, "Nothing weeps like a cello." Your music is absolutely beautiful; thank you for sharing! Wow, thanks so much for this. I love community creations like this. As a cellist, this makes me want to take up my instrument again. Thank you for the inspiration and the music. Nice. I bet we end up fighting aurene sometime after they bring her back.